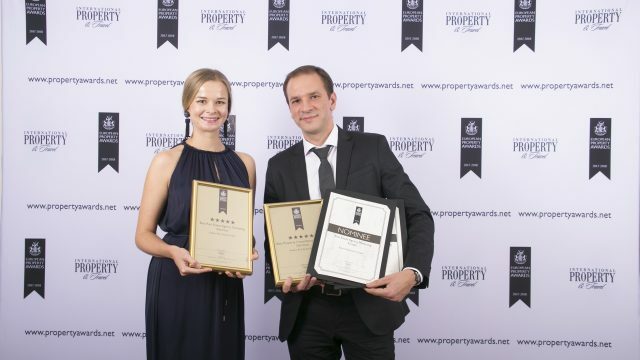 Rubina Real Estate has won two Five-Star awards within the Real Estate categories for Real Estate Marketing at the European Property Awards 2017-2018, one of the most prestigious industry events in the region. The company also received general awards for Real Estate and Property Consultancy. Presented at Royal Lancaster Hotel London on 26th October Companies received awards for categories ranging from property development, real estate, interior design and architecture categories. Chosen from over 200 entries spread across the European regions, Rubina Real Estate has proved itself to be the very best in the real estate sector. 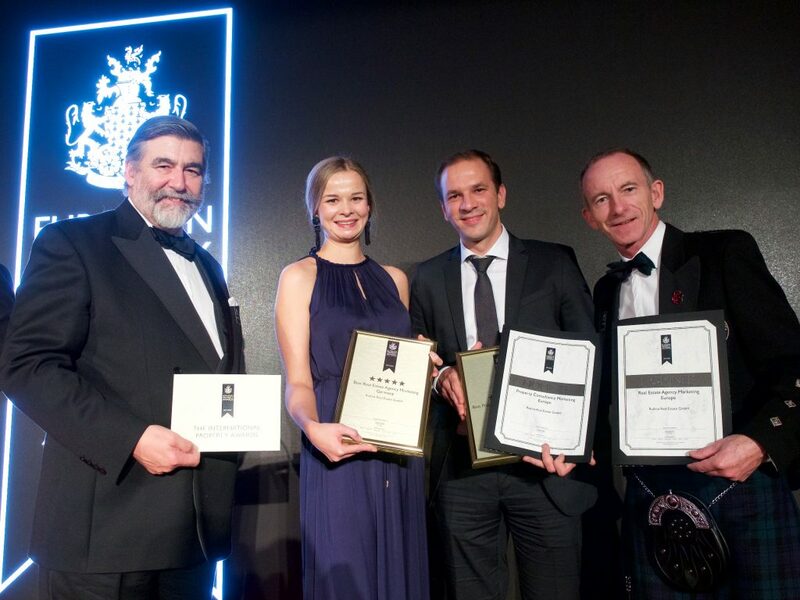 The European Awards are part of the International Property Awards that include the regions of Asia Pacific, Africa and Arabia, the Americas and the UK. The awards celebrate the very best projects and professionals in the industry. The top winners in the European region will automatically be entered into the overall international awards, culminating in a glittering awards ceremony, held at the Savoy Hotel, London on the 4th December. An International Property Award is a world-renowned mark of excellence. Rubina Real Estate is a leading real estate consulting company focused on assisting international buyers with their real estate investments in Berlin, Germany. With an extensive network of trusted developers, lawyers, accountants and tax advisors, as well as over 110 years of combined experience in Berlin’s property market, Rubina’s multilingual team is in a perfect position to consult and assist clients from all over the world in their search for select properties in Berlin. Through adoption of the latest technological developments and ongoing optimisation, Rubina Real Estate has developed efficient flows to make the entire process from property search to after-sales property management as easy and smooth as possible. Due to associate partner offices in China, Singapore and Hong Kong, as well as successful international cooperation partners, Rubina Real Estate is a worldwide active company. The awards also played host to the IPAX UK & Europe exhibition on 26th October. Top industry suppliers were on hand to showcase their products and services, while delegates networked with the very best industry CEO’s, Managing Directors and decision makers within the UK and European regions.